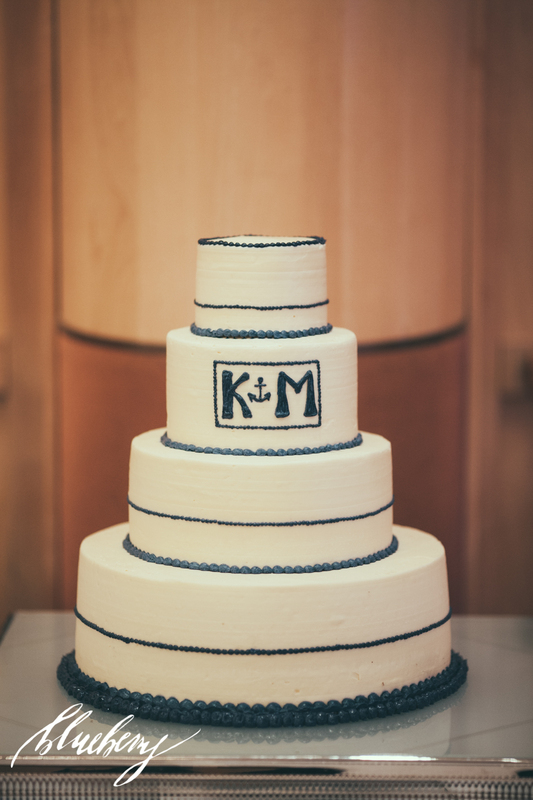 We fell hard for this May wedding delight! 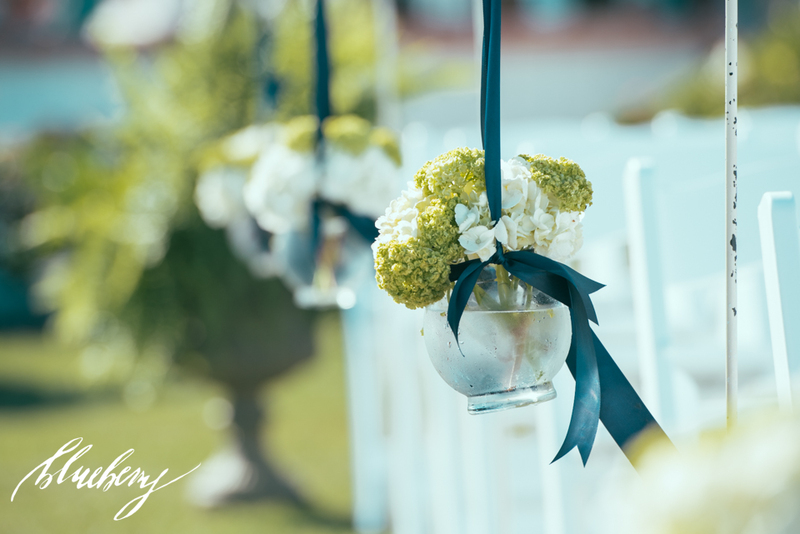 There’s something so appealing about the delightful combination of yellow, navy and white. 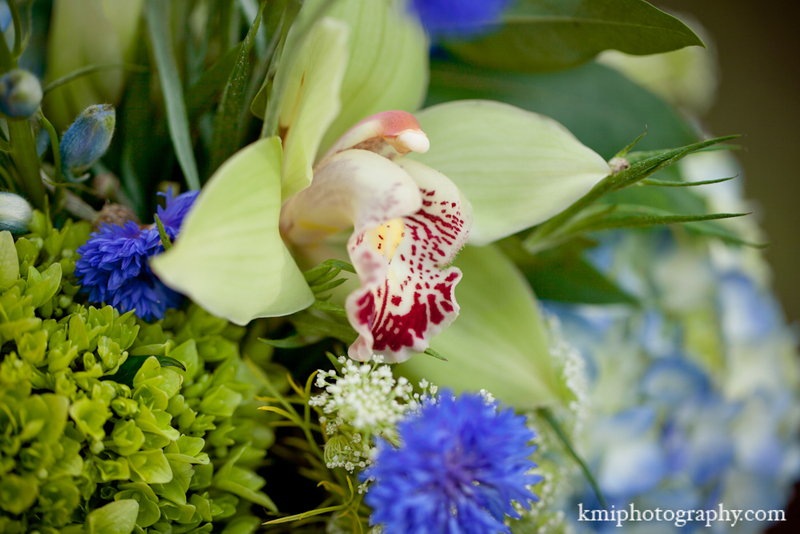 This color combo is hands down timeless, and consistently delivers a refreshing pop of color that leaves guests smiling. 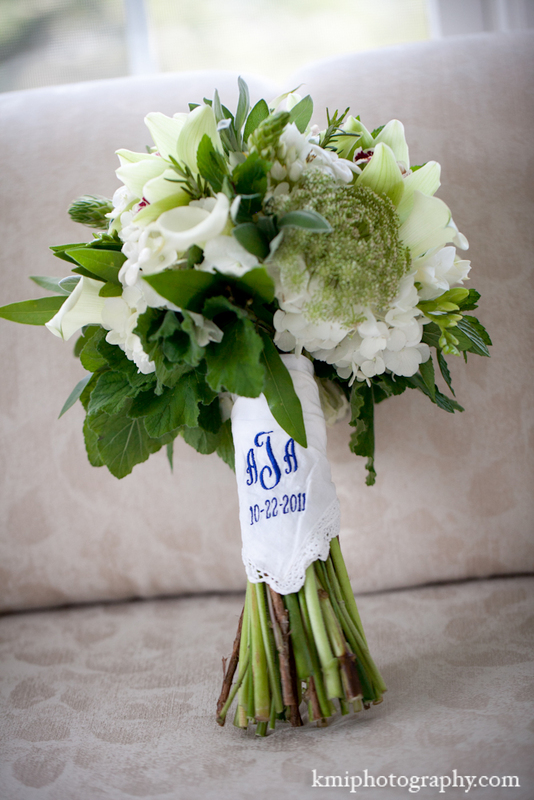 I mean, who doesn’t love a classic stripe on a ribbon accented with a little sparkle? 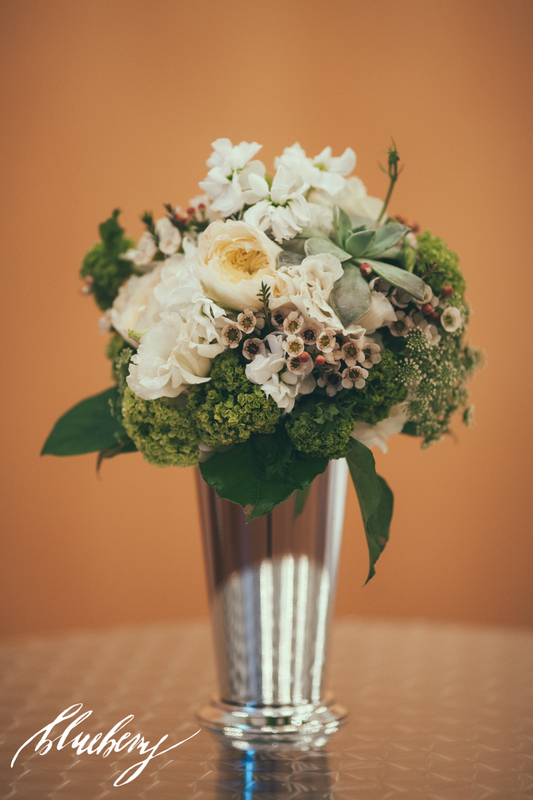 With the bride’s vision of romantic and classic, the bouquet was designed in a clean palette of white and texture galore-incorporating large, lush flowers such as peonies, mums, hydrangea and ranunculus. 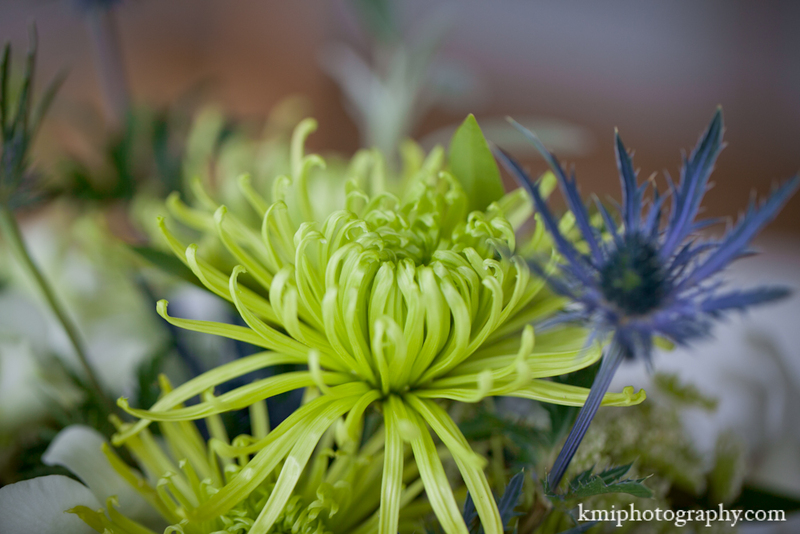 Yellow was the reigning accent color for the wedding party’s boutonnieres and bouquets. But can you guess what left us smiling from ear to ear? The deliverance of detail of course. 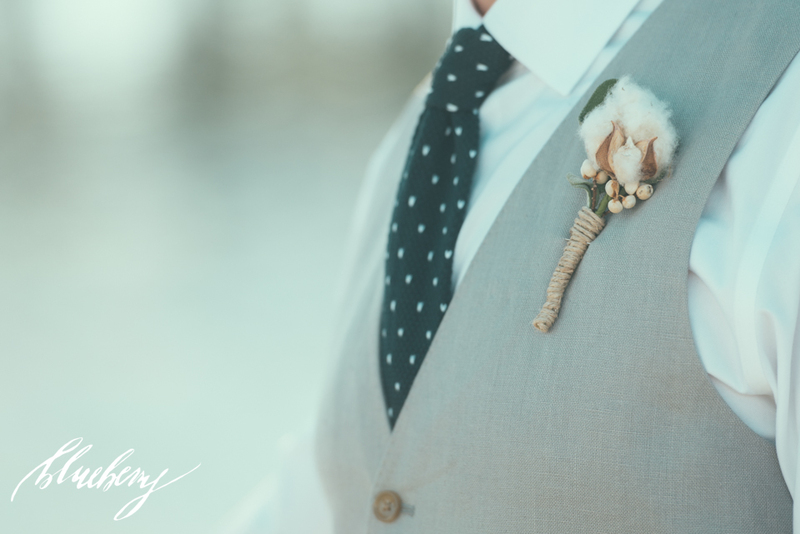 Understated, outdoors elegance was the aesthetic for our wood and hydrangea chuppah, as was the groomsmen’s nautical shoe choice and groom’s tie; it perfectly tied the look together! Did we mention how utterly sweet those flower girls looked in their halos of yellow flowers…love this. DESIGNER’S TIP: Never forget the little things. 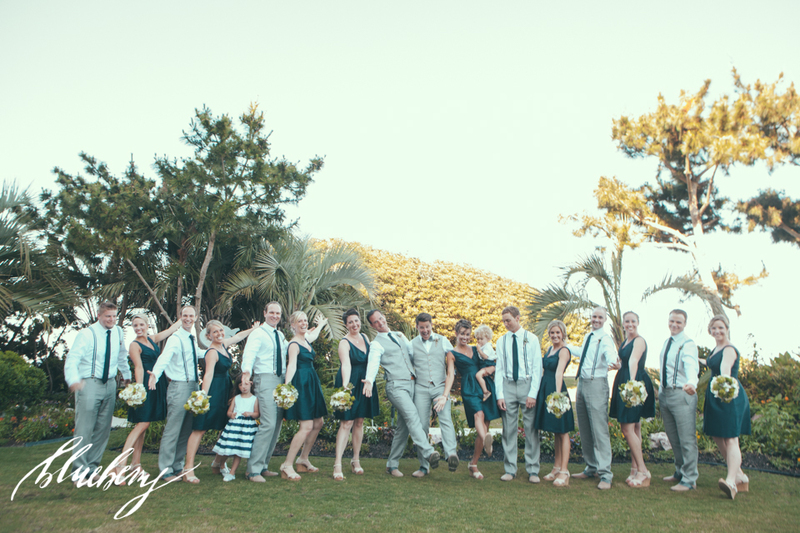 Our savvy bride understood that the wedding party’s attire was the perfect accent to classically pull together her overlook look. 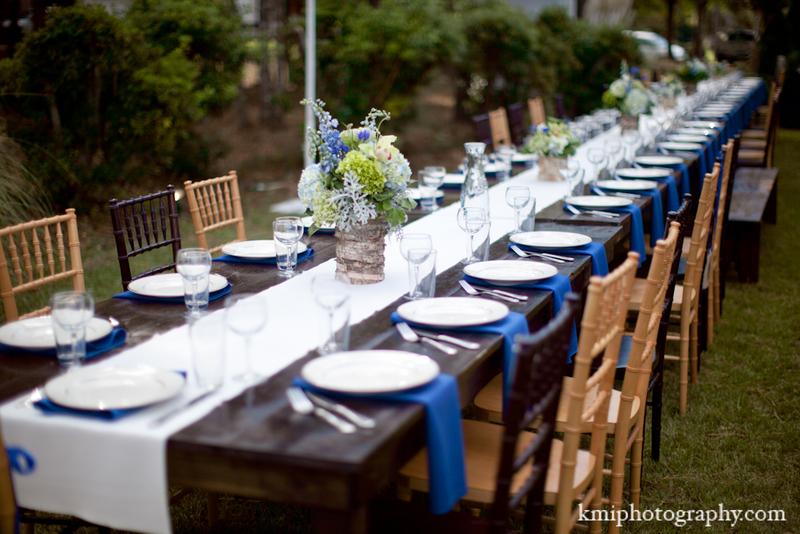 This is a great tip in how coordinating your wedding party can be just as aesthetically pleasing as setting a great table. 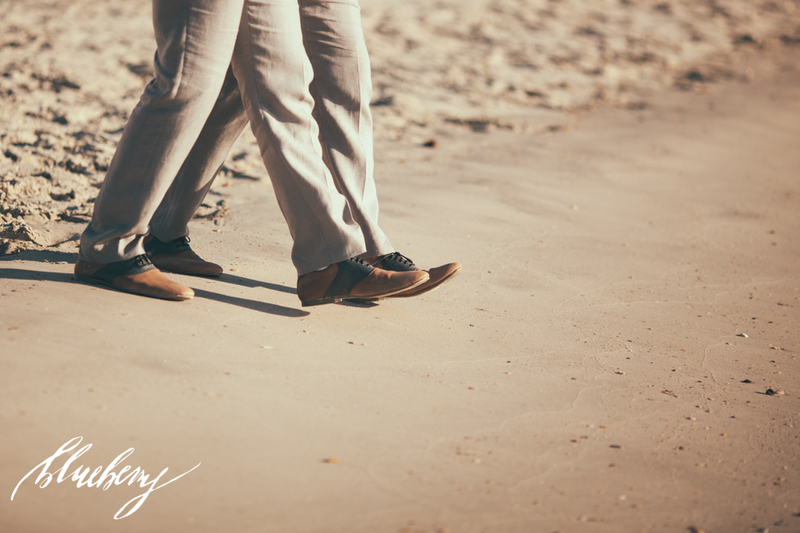 Allison and Arron left the hustle and bustle of New York City for a down home Coastal Carolina wedding. 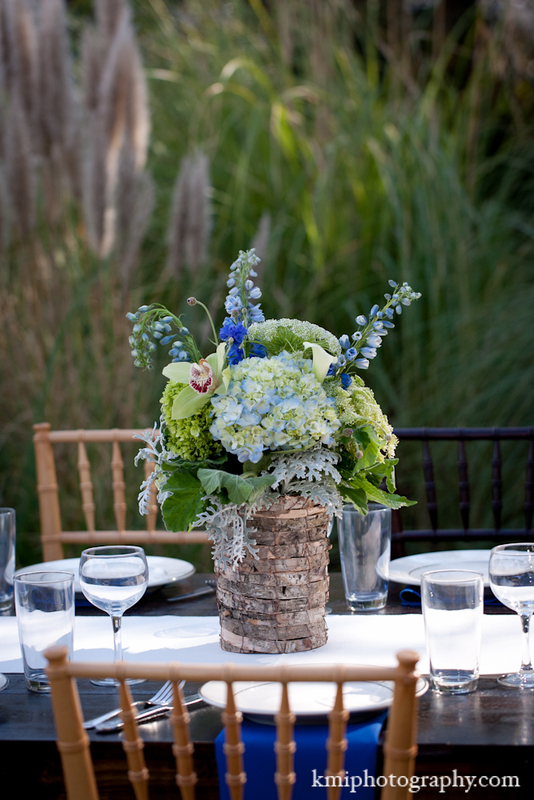 Being a professional chef Allison wanted herbs used throughout the arrangements in stead of traditional greenery. 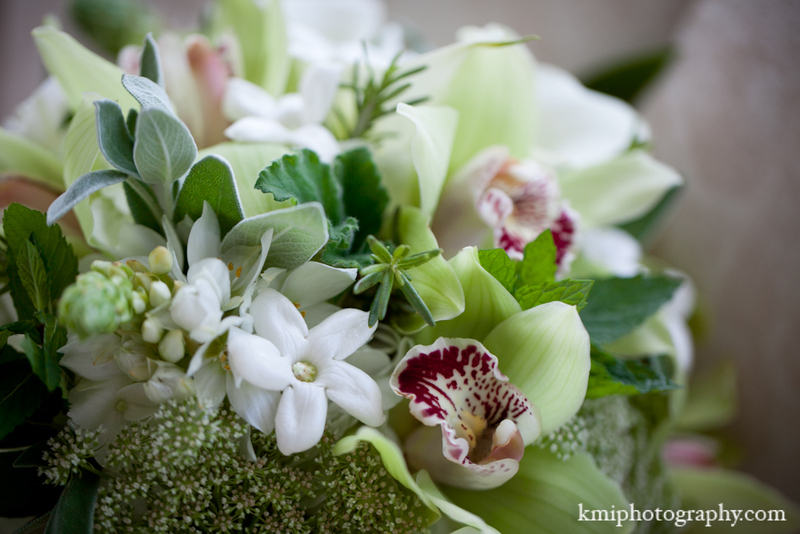 Allison’s bouquet was made of Stephanotis, Orchids, Calla Lilies, Thyme, Sage and Mint. 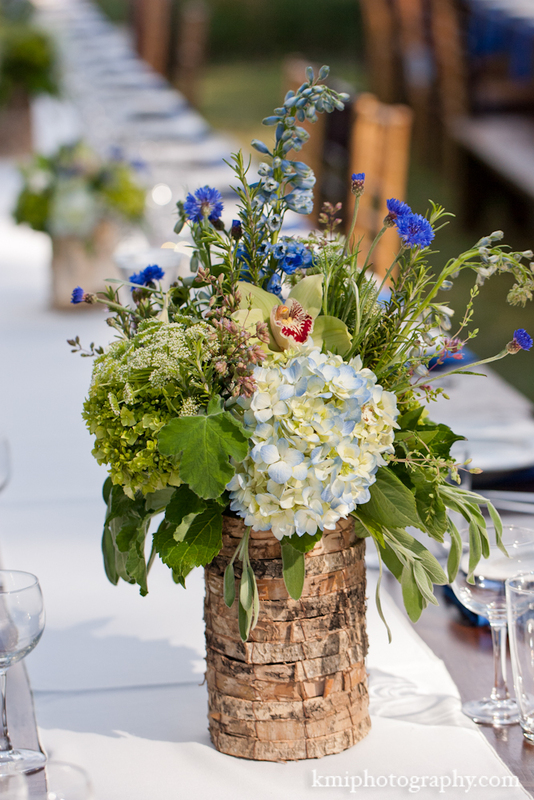 Wood bark wrapped vases filled with Hydrangea, Cornflower, Thistle, Blue Stock, Queen Anne’s Lace and Herbs were used as centerpieces. 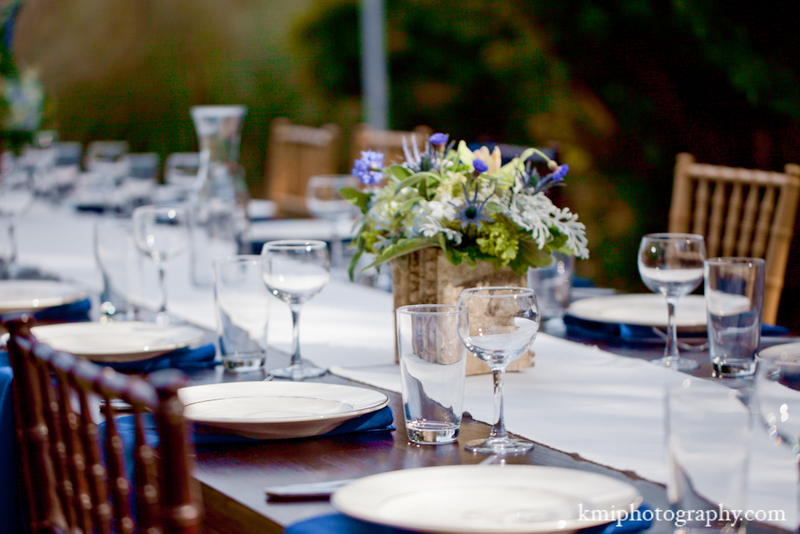 A special thanks to Blueberry Fusion, BAO Events and KMI Photography.